The time expended on the decline to 2638.17 at the close on February 5 was exactly 43 hours. That was the evidence that I had led me to believe that it was the end of Wave (1). 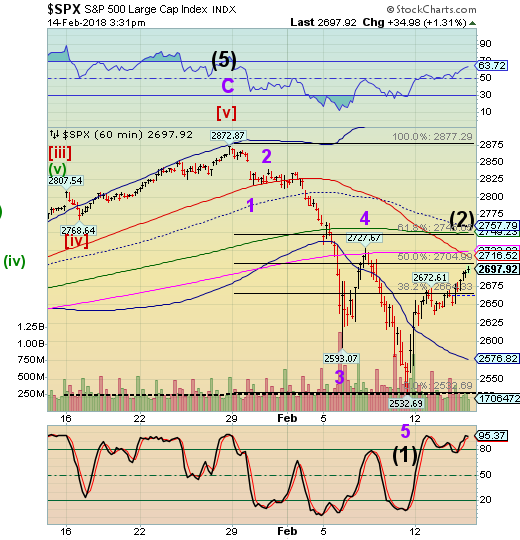 The opening gap at 2593.07 on Tuesday February 6 appeared to be a Wave B. That allowed me to believe that Wave (1) had finished. What appeared to be an extra Wave now turns out to be the finish of Wave 3. 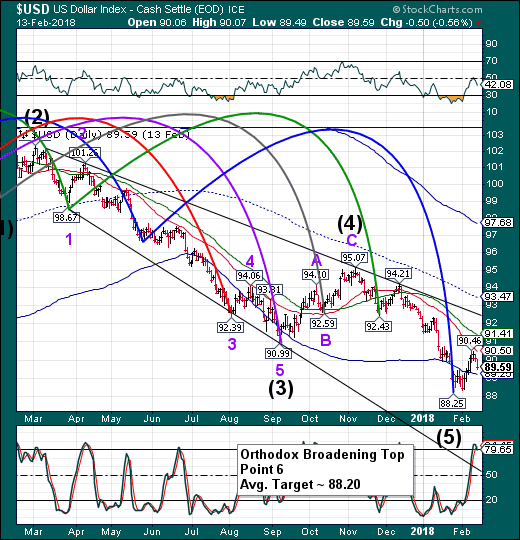 There are multiple factors going into this re-write of the Elliott Waves. 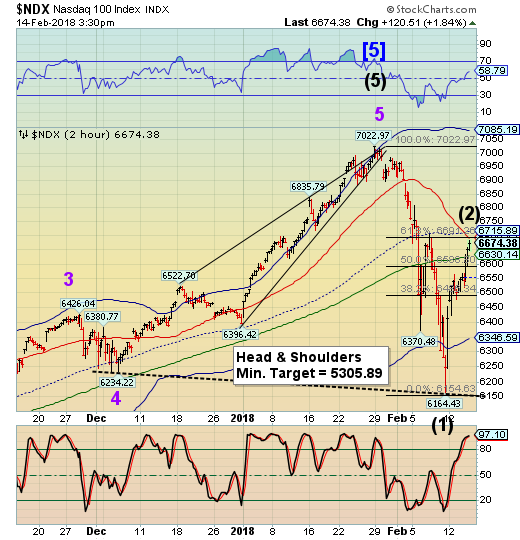 The main one is that the 50% retracement of the entire decline to February 9 is at 2704.99. Today’s high is 2701.86. It appears that an A-B-C rally from the low is complete, as well. I apologize for the misdirection, since the rally may have been tradable, to a degree. Even more compelling evidence is that the NDX has very nearly accomplished a 61.8% retracement, which many Elliotticians are looking for in the SPX. They may not see it. ZeroHedge reports that this may be the biggest short squeeze in a year. 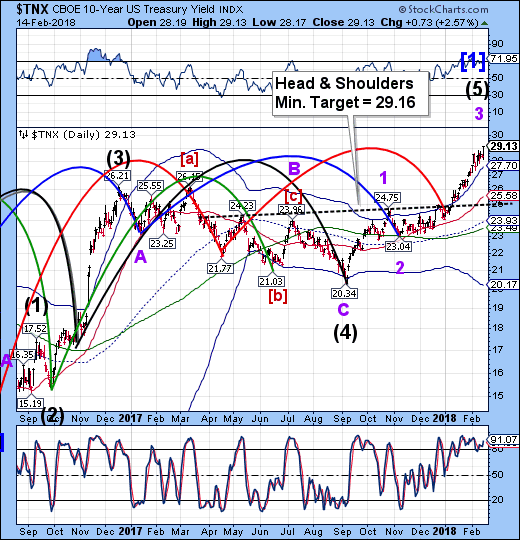 TNX has finally reached its Head & Shoulders target today. It has also entered the danger zone that threatens the stock market. USD is plummeting beneath its Cycle Bottom, which means likely new lows.